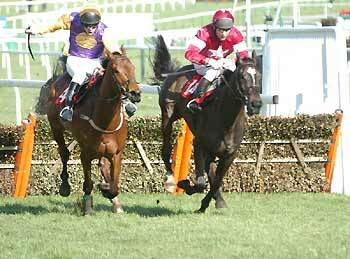 Craughwell Handicap Chase Entries filling up! The Craughwell 10K Handicap Chase series of time-trials is a fun event that will be starting on easter Saturday, and occuring every 2 weeks (normally on Sundays) for a total of four runs. The speed trials allow the participants the chance to measure their training progress over a measured 10K distance and are an ideal addition to any training program. We have gone to great pains to ensure that the dates do not clash with any local races. The event is open to both Craughwell runners and any other local runners provided they are members of an AAI registered club. The full details on the event are here. There are still a few places left, but you need to hurry up and register if you are to take part. I will be posting the names of the entrants and the controversial starting handicaps next weekend - so stay posted! Time trials can be run in two ways - either as a flat out run or as a run aimed at a specific time. Faster time trials over a short distance will result in oxygen debt or an anaerobic workout. Purpose of this kind of workout is to improve the runner's oxygen debt tolerance. Conversely, targeted time trials over long distances are aimed to improve the runner's aerobic capacity by improving his or her oxygen uptake. A time trial is used to gauge an athlete's fitness and to give an indication of how effective his or her training has been up to that point. They can be confidence boosters when run successfully, or an indication to an athlete of how much work needs to be done to get in shape if unsuccessful. Flat-out time trials are normally run at a distance shorter than that of the athlete's main racing distance. These may serve well for an athlete who cannot find quality races when he or she needs one, or as a good warm-up for an up and coming big race. The time trial should be run at least a week and a half before the big race. Therefore, allowing plenty of recovery before the main race, and giving time for the athlete to improve should the run be a disappointment. The target time should be within the athlete's capability but not too easy. The result of the time trial should be used to indicate the whereabouts of the athlete in his or her training. For example, if an athlete struggles to keep up with the pace early on in the time trial, this indicates to the runner to concentrate on speed. If an athlete has no problem with the pace early on in the trial but dies towards the end, this indicates a lack of strength.